These sketch pads have now made their way back to the place where it all began, but this is not the end of the journey, they have one final trip to make and it could be to your house! The pads are to be auctioned in October in order to raise funds for the Mercy Centre Foundation who work to help the children and communities of the many slums of Bangkok. You could win an incredibly rare piece of art and help an extremely worthwhile cause. All that’s left to say now is good luck and thanks to all that take part in the auction and of course to Neil (aka Harveyn) and Ged who have set up and organised this fund-raiser. We are very excited about Mr Jago’s first London solo show, which opens on Thursday at Stolenspace gallery in Brick Lane. He really has grafted over past few months to create the biggest body of work he has ever produced, so if you are a fan (or not) then you really should make an effort to get there. The show runs from the 11th to the 28th September. Mr Jago will be showcasing new work on canvas, silk and paper and there is also an incredibly beautiful installation to see. There will also be the release of a new limited edition, 5 colour screen print (the featured flyer image), priced at £75 in an editon of 75. If you wish to receive a pdf buyers preview please drop us a line at all@art-el.co.uk, stating your interest. StolenSpace are pleased to present the first London solo show by artist Mr Jago. Cloud Talk will showcase new work on canvas, silk, wood and installations; and will feature the release of a limited edition screen print. 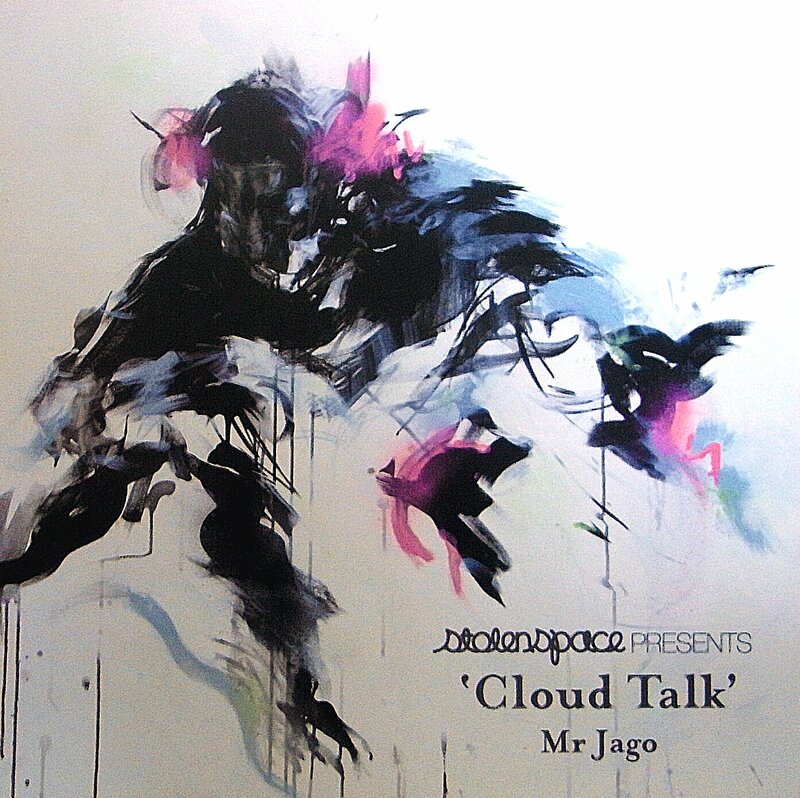 Mr Jago’s loose line and organic flow are unmistakable: rich with heavy movement and perpetually shifting shape, he describes his work as ‘itchy’ and ‘dynamic.’ Purposeful robotic giants inhabit ethereal environments that envelope and enliven, constantly exploring notions of space and depth. Mr.Jago’s latest body of work confidently displays a looser, more instinctive style, which embraces abstraction and plays with a mixture of mediums and hues in an ever freer manner. The doors open open at 6.30pm, hope to see lots of you there. 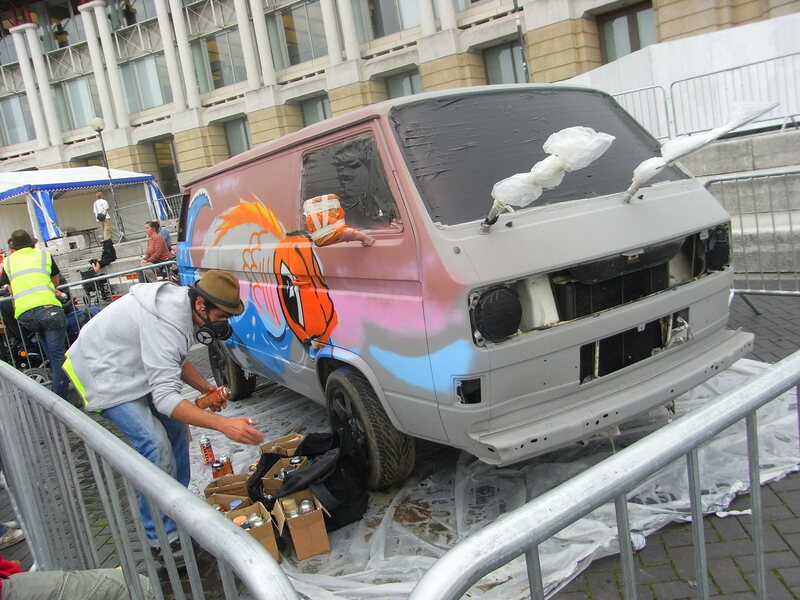 The last weekend of August saw us taking a trip to Bristol’s harbourside for Bristol’s first showcase event of urban arts and sports. 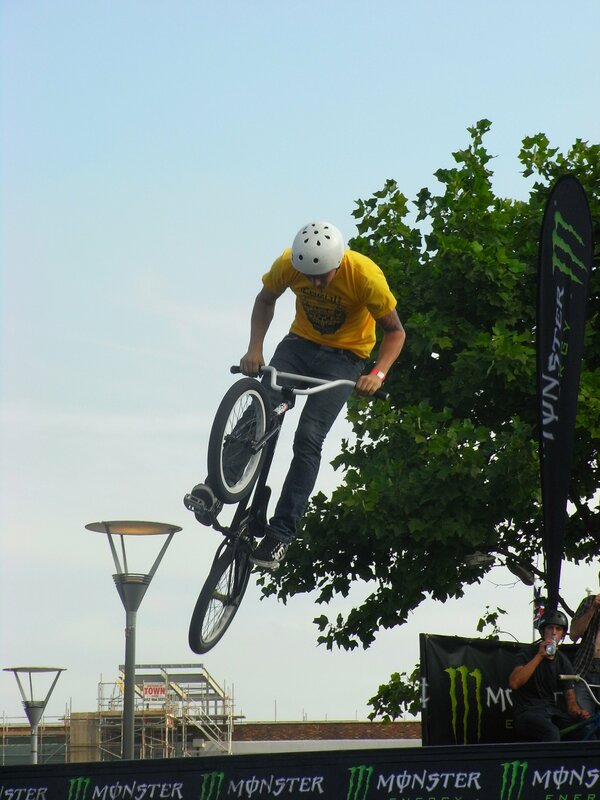 The sun even turned up on the Saturday, pulling in the crowds to watch some of the UK’s leading skaters and BMX riders, mountain bike trial riders, beatboxers, parkour athletes, graffiti artists and breakdancers perform, compete and lead workshops. 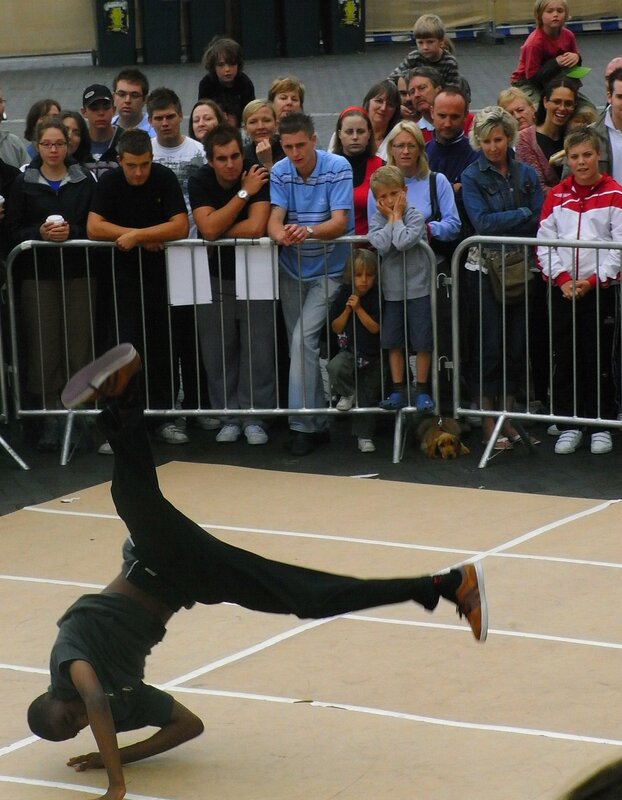 The two-day event also included a specially-commissioned dramatic show, by the internationally-renowned arts company Cirque Bijou, which featured a mix of urban art forms, circus, pyrotechnics and large-scale video, which despite some initial technical hitches was the highlight of the weekend. It was a great weekend, lets hope it was a big enough success to bring it back next year. We are pleased to tell you that Art-el now has it’s very own Flickr account. 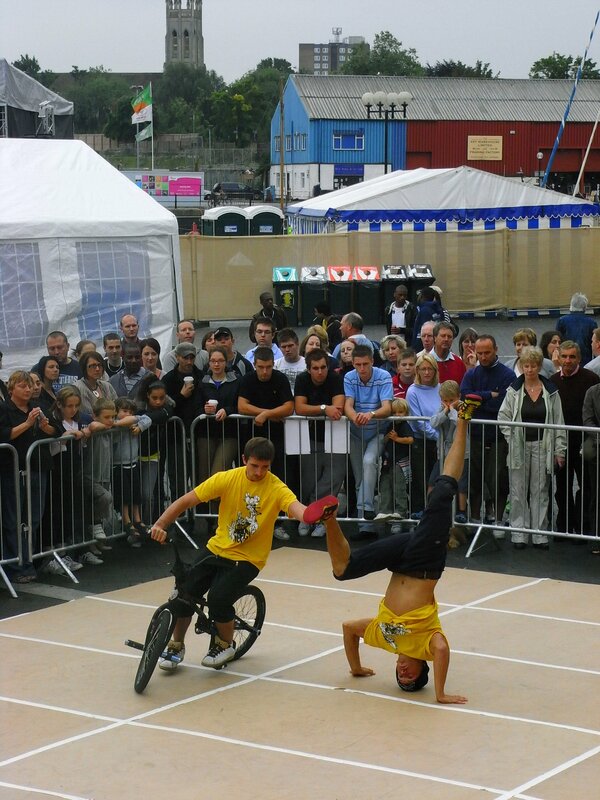 Showing pictures from shows and events in Bristol and London and other randomness as and when it occurs. You are currently browsing the Artelgallery's blog blog archives for September, 2008.